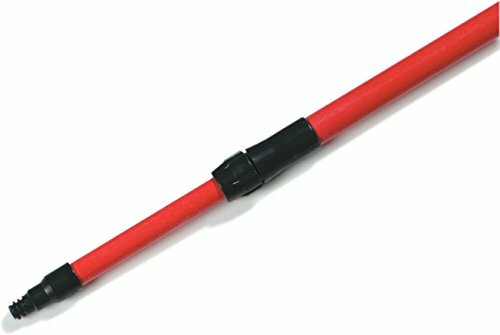 Carlisle fiberglass telescoping threaded handle for use with Spectrum push brooms, sweeps, squeegees, and floor scrubs. 54-inches to 8-feet telescoping threaded handle. White color. Measures 1-inches diameter by 8-feet length.